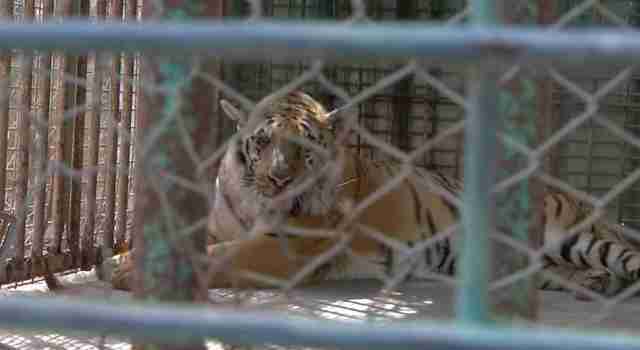 An emergency relief mission has arrived at a zoo of horrors - where starving animals share ramshackle cages with their poorly preserved dead companions - in the city of Khan Younis in war-torn Gaza. 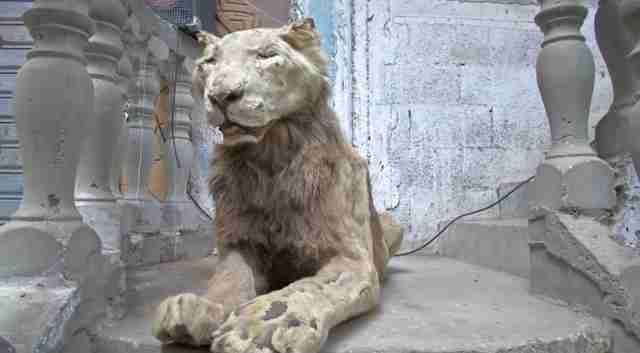 "The surviving big cats - one lioness and a tiger - are penned up in their destroyed enclosures and are highly emaciated. 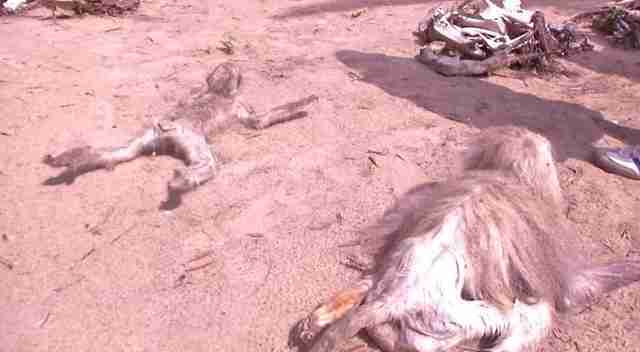 Many other animals have already starved," Dr. Amir Khalil, a veterinary surgeon heading the Four Paws International mission, said in a statement Tuesday. On April 15, Four Paws became the first animal welfare organization granted entry to Gaza, representative Claire LaFrance told The Dodo. The zoo's animals - including lions, tigers, primates, birds and reptiles - were smuggled through Egypt via underground tunnels. Those who die of neglect are gutted, stuffed with sawdust and preserved with homemade formaldehyde. Known as South Forest Park, the zoo opened its gates with 65 live animals in 2007 - the year Hamas, a Palestinian Islamic political party, seized Gaza. During Israel's airstrikes against Hamas in 2008, the zoo grounds were abandoned for three weeks, owner Mohammed Awaida told the Associated Press in 2012. That's when Awaida, using how-to guides he found online, began mummifying animal carcasses. "We have more variations and different species as preserved animals than we have living," a zoo official said. 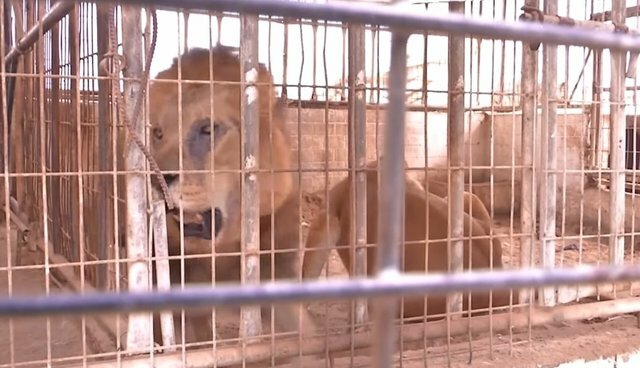 "If there will be more [Israeli border] restrictions we may end up calling it preserved animals zoo." For the languishing animals who remain, Four Paws represents hope. Khalil treated a lioness, baboon and llama - who suffered from severe infections - and vaccinated many more animals. In addition, Four Paws will provide weekly food deliveries to the zoo - which lacks a refrigeration system - for three months. 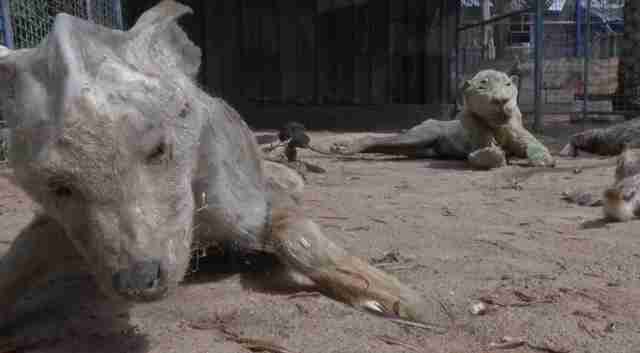 Beyond this period of assistance, the future of the Khan Younis animals is precarious. 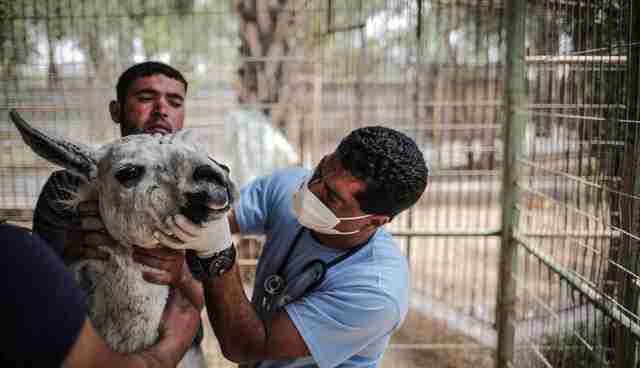 "The general situation for wild animals in the Gaza Strip is very difficult as they are very high in numbers and there is no capacity available to rescue them all," LaFrance told The Dodo.